Gail Rubin, CT, is author and host of the award-winning book and television series, A Good Goodbye: Funeral Planning for Those Who Don’t Plan to Die, Hail and Farewell: Cremation Ceremonies, Templates and Tips, and KICKING THE BUCKET LIST: 100 Downsizing and Organizing Things to Do Before You Die. Rubin is a Certified Thanatologist (that's a death educator) and a popular speaker who uses humor and films to get the end-of-life and funeral planning conversation started. She "knocked 'em dead" with her TEDx talk, A Good Goodbye. She provides continuing education credit classes for attorneys, doctors, nurses, social workers, hospice workers, financial planners, funeral directors and other professionals. She's a Certified Funeral Celebrant and funeral planning consultant who has been interviewed in national and local print, broadcast and online media. Known as The Doyenne of Death®, she is the event coordinator of the Before I Die NM Festival. She also hosts A Good Goodbye Internet radio show and produces Mortality Minute radio and online video spots. Her YouTube Channel features more than 450 videos! Rubin is a member of the Association for Death Education and Counseling, the International Cemetery, Cremation and Funeral Association, Toastmasters International and the National Speakers Association New Mexico Chapter. Her speaking profile is available at eSpeakers.com. Gail Rubin has been interviewed about funeral planning issues in national and local broadcast, print and online media. Outlets include The Huffington Post, Money Magazine, Kiplinger, CBS Radio News, WGN-TV, and local affiliates for NPR, PBS, FOX, ABC-TV, CBS-TV and NBC-TV. 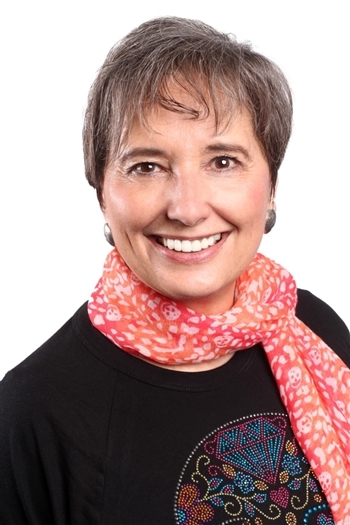 Albuquerque Business First named her as one of their 2019 Women of Influence. Sign up for a free planning form and occasional informative newsletter at her website, AGoodGoodbye.com. Get E-mail Alerts When Gail Rubin, The Doyenne of Death, Funeral Expert Sends news releases.